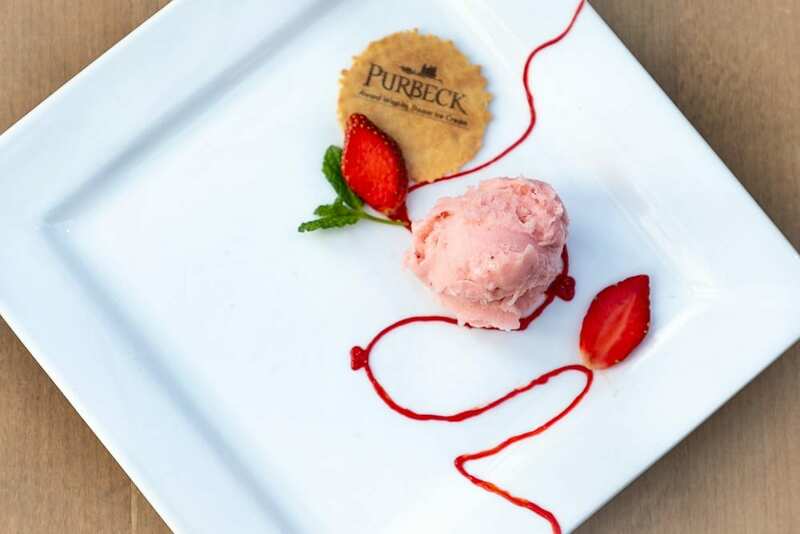 Purbeck Ice Cream add new flavours to their range for 2019! 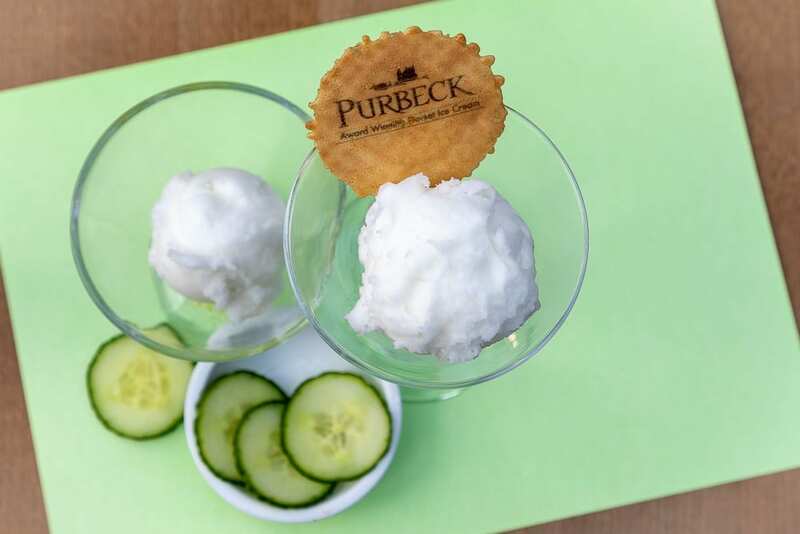 Award winning Purbeck Ice Cream is made on a farm overlooking Corfe Castle, using fresh Purbeck milk, thick Dorset double cream, British sugar and an abundance of natural ingredients. They don’t use artificial additives or GMOs, no added colours nor flavours, no nuts, everything’s gluten free and they are suitable for vegetarians as well as being Halal compliant, making this an indulgence that just about everyone can enjoy! You can find their ice cream in many local retail stores, cafes, restaurants, scooping parlours and their Events team scoop the fabulous flavours at more than a hundred of the best summer venues each year across the South of England and in to the London parks. Purbeck Ice Cream was first established in 1988 when the introduction of dairy quotas made Peter and Hazel Hartle’s herd of 60 dairy cows unviable. Pete, Hazel and their three young sons had to look for alternative uses for their excess milk, and as lovers of ice cream, they decided there was an opportunity for high quality, all-natural ice cream without additives or artificial colours that also catered for food allergy sufferers by being egg-free, gluten-free, and nut-free. Purbeck Ice Cream was born. Purbeck Ice Cream is proud of using local fresh Purbeck milk, Dorset double and clotted cream and British sugar and skimmed milk powder as well as many other wonderful ingredients where they can – including Marmalade, from AjarOf, Gingerbread from Ma Bolton, Langham Fizz for their sorbet creating ice creams and sorbets of provenance and quality. What’s new from Purbeck Ice Cream? Run, run as fast as you can, and become a gingerbread ice cream fan. 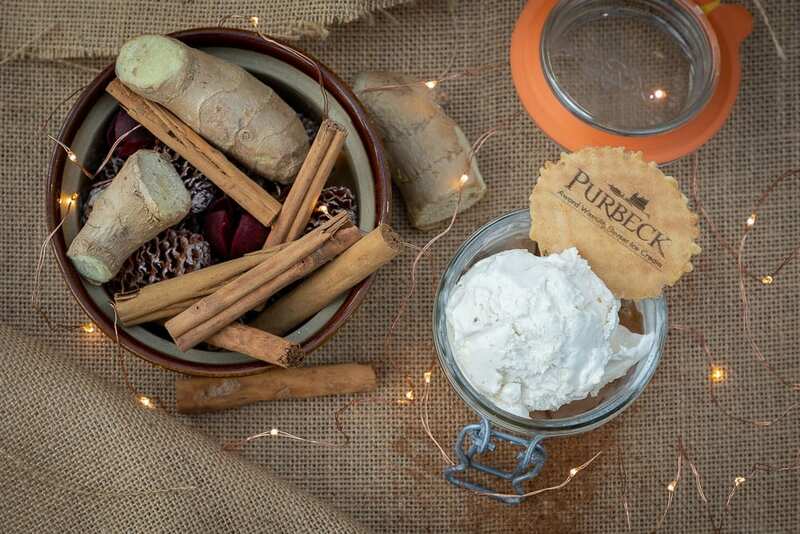 The gingerbread taste of Purbeck Ice Cream’s new Gingerbread Ice Cream is made locally with natural and gluten free ingredients. The new Strawberry Sorbet has a light & refreshing fruity flavour. The perfect treat on a hot summer’s day or ideal after a game of tennis. As cool as a cucumber, the new Cucumber Sorbet is perfect with Pimms, a savoury starter accompaniment or just to create a definitive summertime dessert.